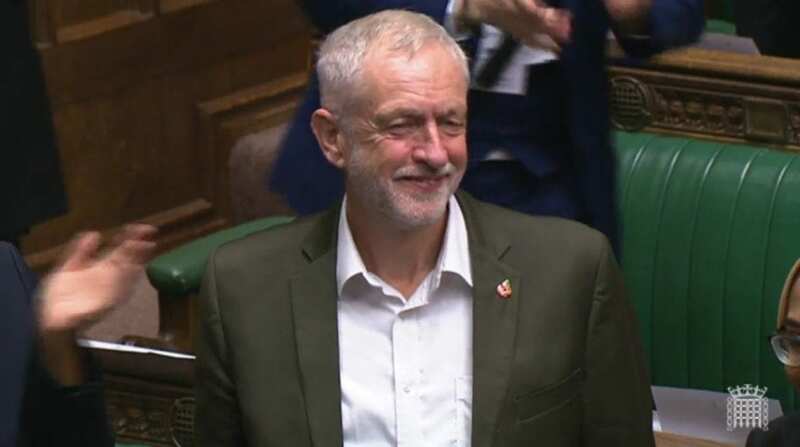 Jeremy Corbyn received a heartwarming standing ovation from a packed out House of Commons today. The Leader of the Opposition joined aspiring politicians for the UK Youth Parliament’s debate in Westminster, and was warmly received after being introduced by the Speaker of the House John Bercow. Captioning Corbyn as a man who “says what he means, and he means what he says” Bercow noted how Corbyn has passionately campaigned for young people. The Labour leader delivered a huge election upset in 2017 after a surge of young voters backed his spirited campaign. An electoral map released last month showed Labour would take 600 seats in parliament if only 18-24 year-olds were allowed to vote. But will they still be cheering when they discover how he has sold them down the river over Brexit? A Labour leader helping the fascists take over Europe. I never thought that would happen. Really! you could have fooled me.